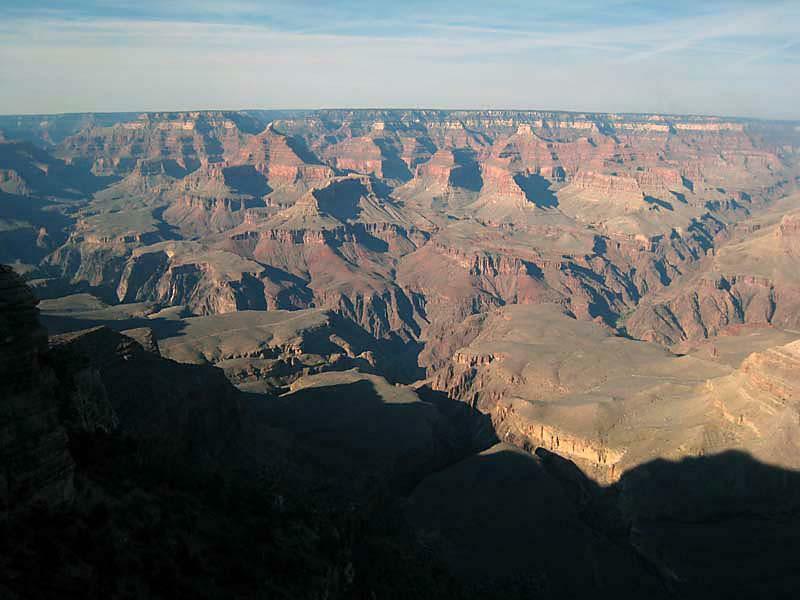 Grand Canyon Rim2Rim2Rim — OH YEAH! It’s kind of a right of passage for ultrarunners. To run the Grand Canyon Rim to Rim to Rim in a day. Not a race, just a fun thing to do. And not recommended or approved by the Park Service. I’ve never done it, but in a few weeks I will. I’ll be flying to Los Angeles, meeting some friends and off we go on the almost 50 mile trek, down the canyon, over the Colorado River, up the other side to the North Rim. Then back. Some photos below, not mine but an idea of the terrain, I can’t wait to get out there. Click picture for fullsize. This entry was posted on Sunday, September 7th, 2008 at 8:26 am	and is filed under Running. You can follow any responses to this entry through the RSS 2.0 feed. Both comments and pings are currently closed. Wow, Dave, you are going to have a BLAST! A few friends and I ran the R2R2R two years ago and it was incredible. It was very tough so I am assuming that you are well trained. I had had been in a cast and I wasn’t in great shape, so it was really tough for me. I can’t wait to hear all about your adventure. Keep me informed. Running is going pretty good, I know it’s going to be pretty tough though. I’m certainly not in Badwater or WS100 type condition. Have a blast, I’m guessing you’re probably there now or soon to be, post pics when you’re done! NEXT weekend! I’ll certainly post some pics when I’m done if I can manage to climb back out of the canyon.